Jennifer Smith is a customer service professional and veteran member of the team at Sustainable Development Technology Canada (SDTC). SDTC has a mandate to work with innovative companies that are creating sustainable technologies that will drive both positive environmental outcomes and economic growth. 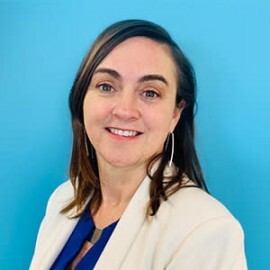 Joining SDTC in 2012, Jennifer has extensive knowledge of the process and operations of the organization, and in particular, the public application stream catered for cleantech entrepreneurs. In her current role as the Applicant and Intake Coordinator, she is the first point of contact for applicants looking to navigate the SDTC application process. Jennifer uses her skills in customer service to help champion cleantech entrepreneurs.